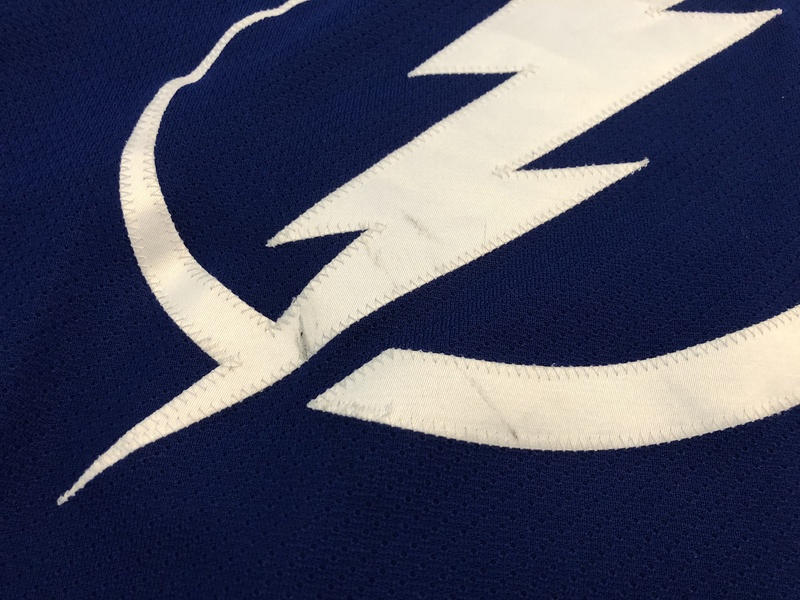 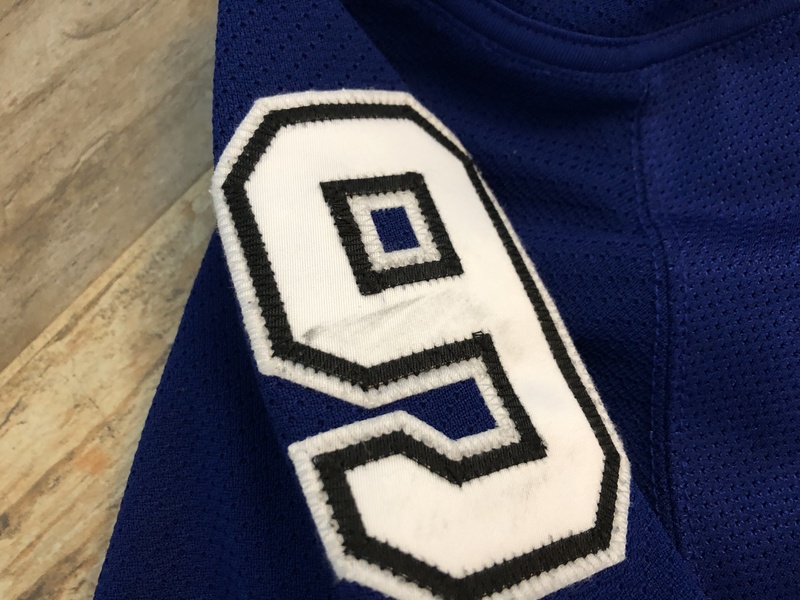 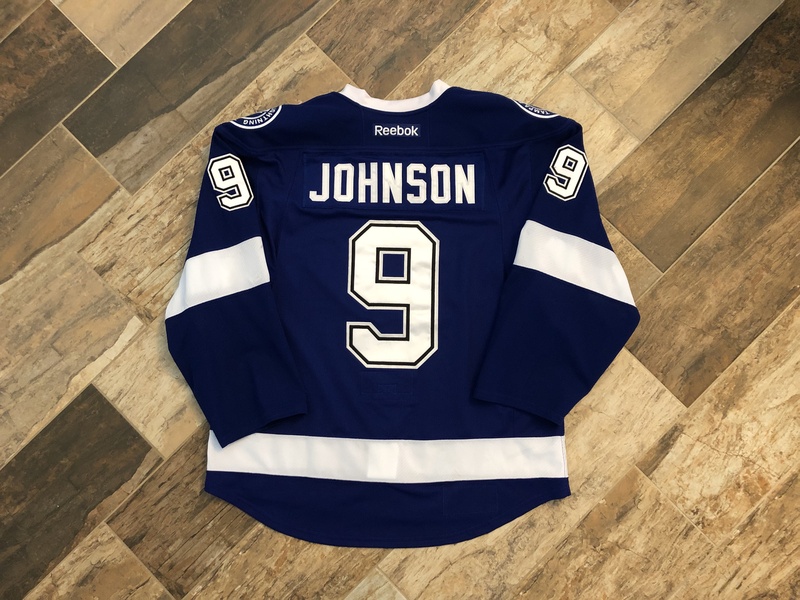 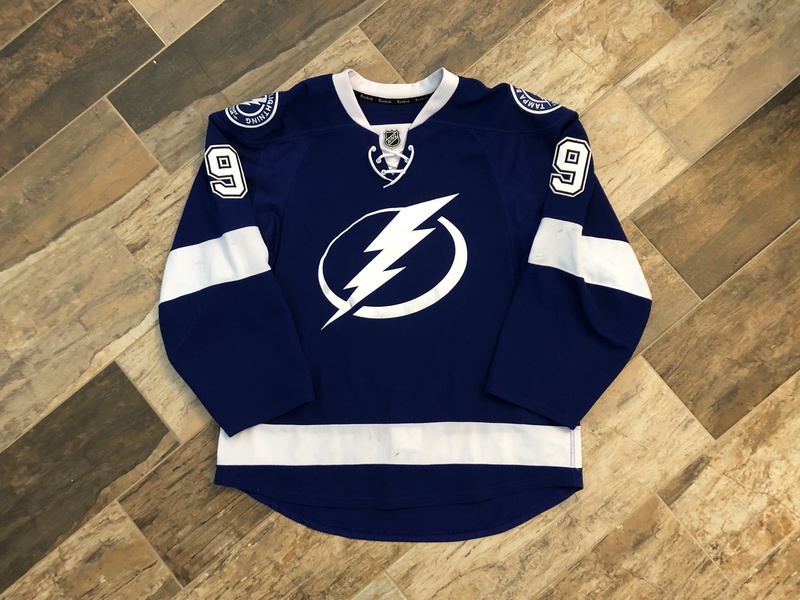 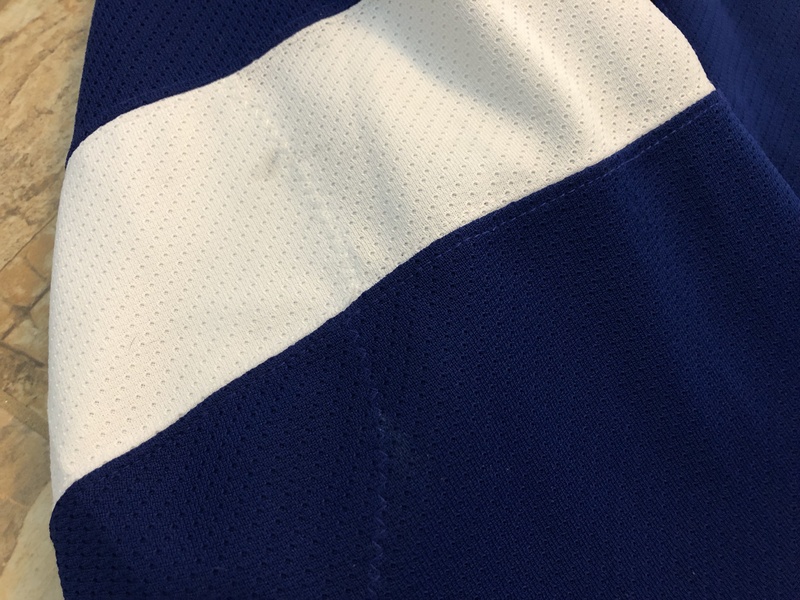 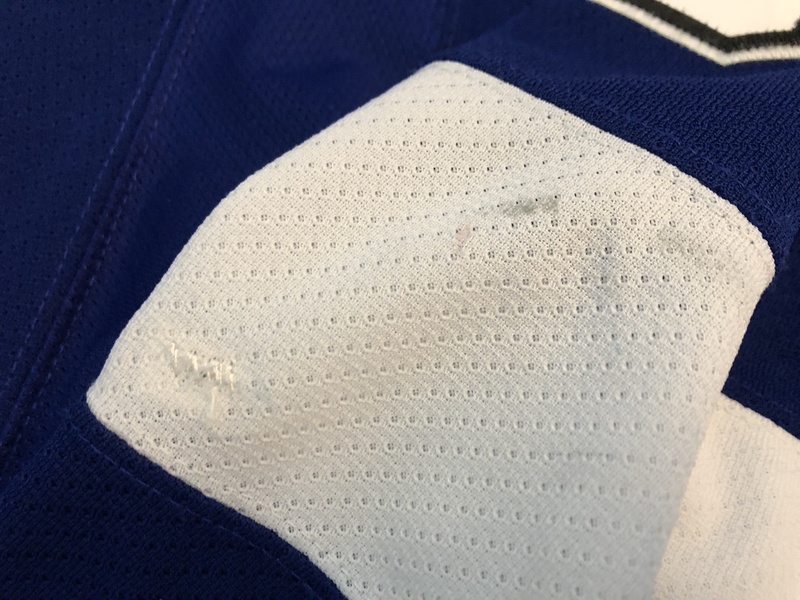 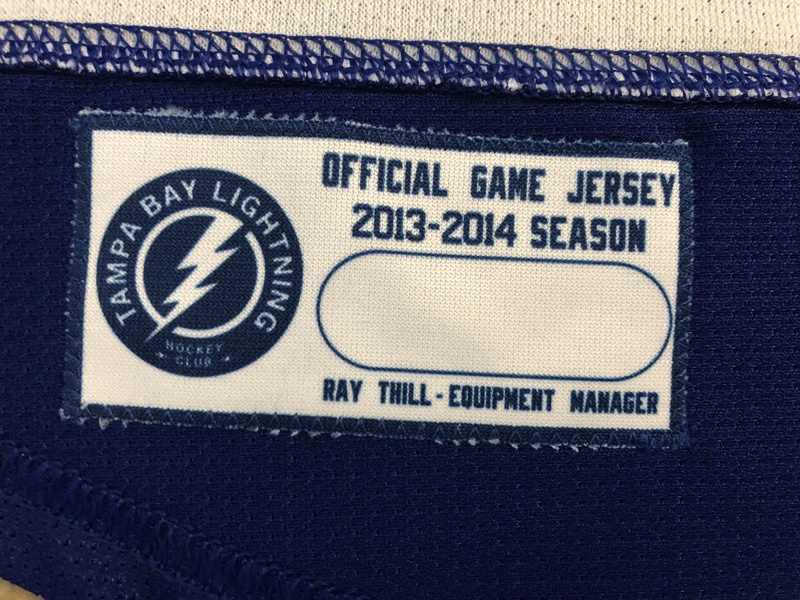 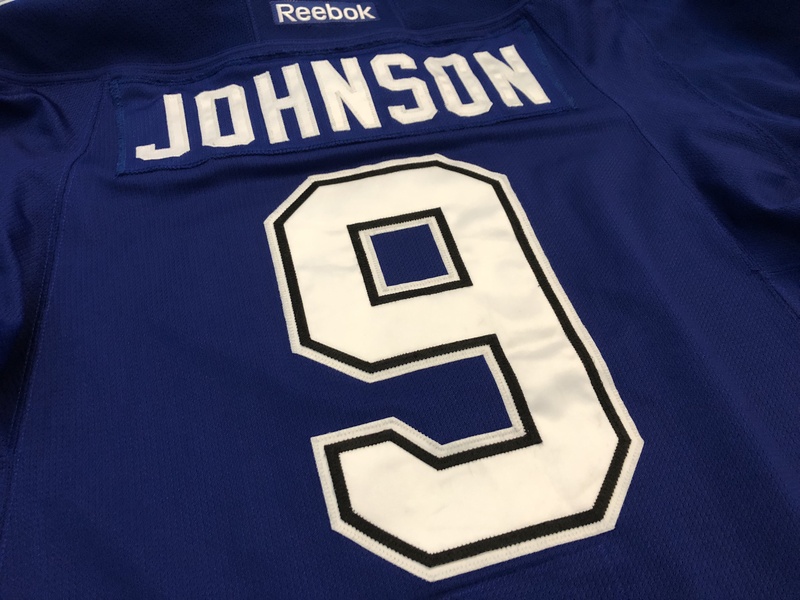 This jersey is from Tyler Johnson’s first full season in the NHL (he skated in 14 games for the Lightning the prior season wearing #63). 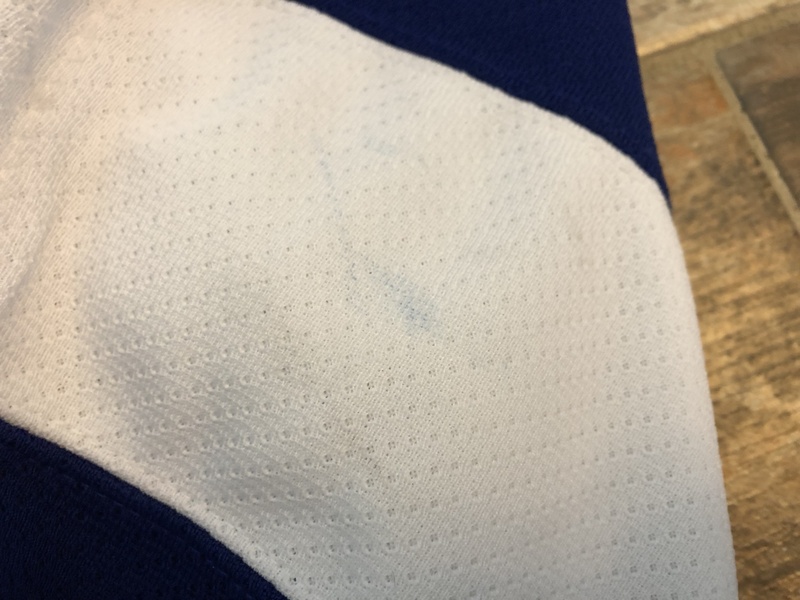 There are a few small repairs on the arms, and shows great wear with black marks pretty much everywhere. 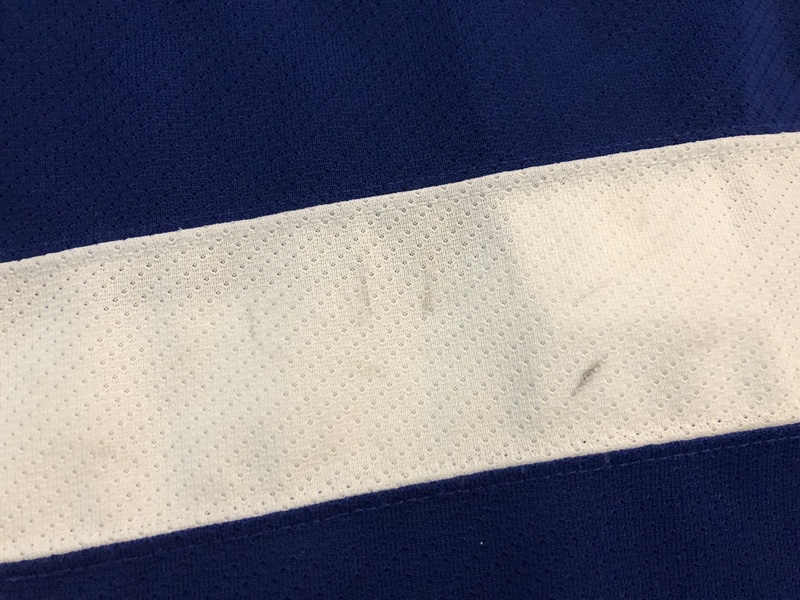 Nice marks through the front crest and numbers.